Mike Misuraca played parts of two seasons in the single-A Midwest League. 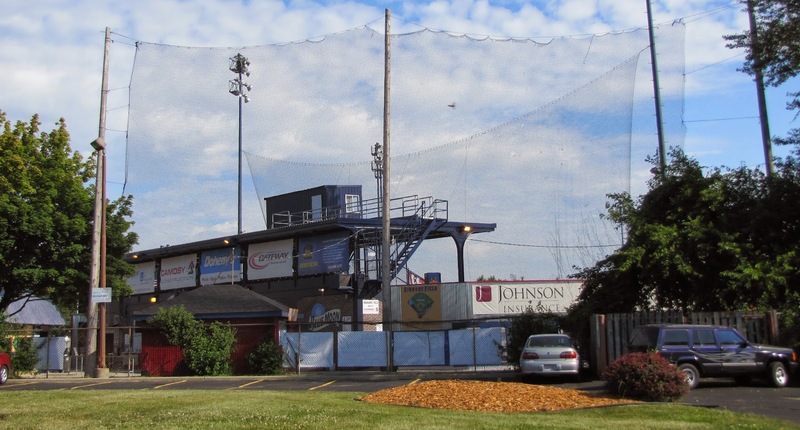 The former Riverview Field in Clinton, Iowa, in 2014. 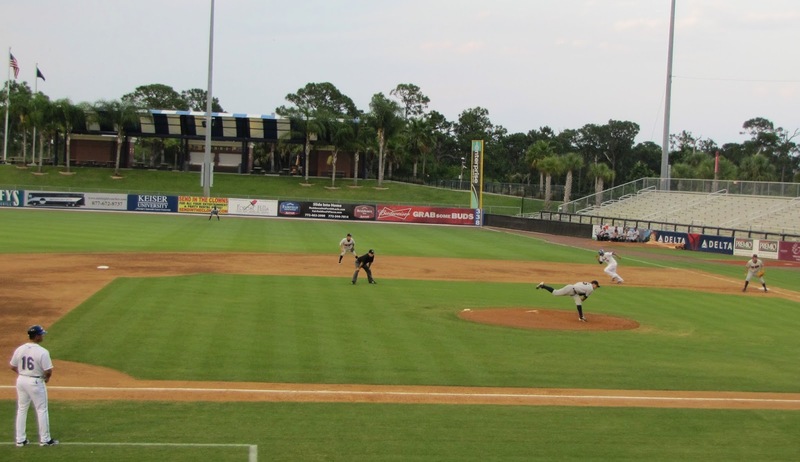 Through his nine professional seasons, Mike Misuraca was always a starter. He'd only had brief stints in relief. So, when his manager called him into the office at AAA Tucson in 1997 and asked him about going to the bullpen - the day after he threw eight innings while giving up a single run - Misuraca knew exactly where he was going. "I knew what he was talking about," Misuraca recalled recently to The Greatest 21 Days. "I said 'Heck yeah, I could pitch out of the bullpen.'" His manager then confirmed Misuraca's suspicions: Misuraca was going to the majors. "I'll never forget getting on that airplane, you get a first-class ticket," Misuraca said, "just sitting on that airplane, the whole time I couldn't get the grin off my face and saying to myself 'I'm going to the big leagues. I'm going to the big leagues.'" "It was just an unbelievable feeling," Misuraca said. He then talked of his long trek to the majors and the overwhelming excitement that came when he finally made it and then the arthritis that forced him from the game and eventually sent him on to his scouting career with the Reds. 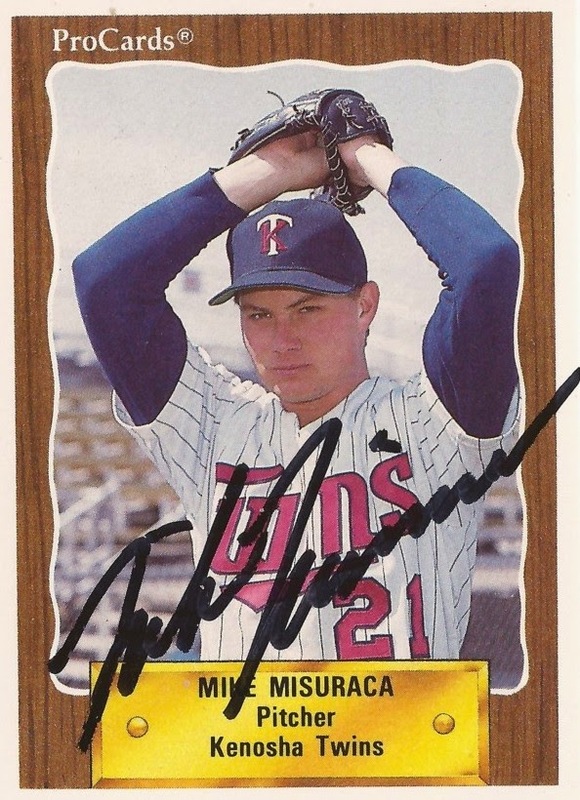 Misuraca first hit the field as a pro in 1989, having been signed by the Twins. 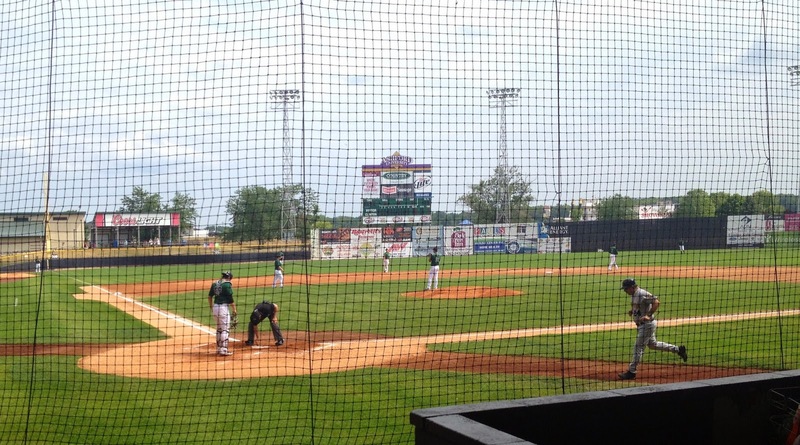 After struggling at single-A Kenosha, Misruaca was sent down to rookie Elizabethton. He also tasted success. In 13 starts at Elizabethton, Misuraca went 10-3, with a 2.53 ERA. He also helped his team win the league title. "That turned out to be my last ring in professional baseball," Misuraca said. "Hopefully I'll get another one with Cincinnati, a real World Series ring." He remembers that year for another reason, the oil-leaking car he and roommates Marty Cordova and Tim Nedin pooled their little money to purchase. When the windshield cracked, their solution was to just tear it out because the new glass would double the value of the car. "We drove this thing without a windshield," Misuraca recalled. "For the last month of the season, we didn't have a windshield in our car." Pulled over one night after a game for driving erratically, Misuraca recalled the officer asking if they'd been drinking. They hadn't. If it wasn't that, the officer asked why they were swerving. "Marty says, 'Hey, you try to keep this car straight!," Misuraca recalled. On the field, Misuraca returned to Kenosha for 1990 and he did better. He went 9-9, with a 3.33 ERA. He then played at high-A Visalia and Fort Myers the next two seasons, making AA Nashville for 1993. He was moving, but he wasn't moving quickly. The Twins, he recalled, showed a lot of patience. "Obviously you want to breeze through the minor leagues, but that wasn't he route I took," Misuraca said. "I was a grinder, let's just be honest. I was a non-drafted free agent. I had to basically earn every promotion that I got to each level." In 1993 at Nashville where Misuraca recalled getting physically stronger. His fastball improved. He started throwing a slider. The Twins also seemingly started recognizing him as a prospect, a guy who had a chance. He ended up going 6-6, with a 3.82 ERA in a season marked by injury. He had to sit for a time with an elbow strain. After coming back, he hurt his shoulder. But he was too proud to tell anyone. He pitched his final two starts, as well as a start in the playoffs. "I mean, I was popping Advil every two minutes. I was really hurting," Misuraca said. "Now that I look back that really wasn't an intelligent move. But I wasn't not going to take the ball. "I kind of had that old-school mentality: 'Hey, I'm here and I'm going to do this,'" Misuraca said. When the season was over, Misuraca found out he had a torn labrum and he needed surgery. He also found himself trying to get himself back onto the field for 1994. "I worked extremely hard probably the hardest I ever worked," Misuraca said. "I wanted to make sure that I did not go to spring training had had to stay in extended spring training. I was very determined to come back healthy." He ended up not missing an inning because of the injury, though his velocity was down. He also got his first look at AAA that year, 10 starts at Salt Lake. He then started 1996 back at Salt Lake, then was traded in June to the Brewers. He played the rest of the season at AAA New Orleans. Regarding the trade, Misuraca thought he might have worn out his welcome with the Twins. He thought he might have been close to a call up at one point, but it didn't materialize. Moving to the Brewers he recalled starting with a hot streak, going a long stretch without giving up an earned run. He also continued trying to prove himself, just in a different organization. "My thing was, 'Hey, I'm going to prove to you guys that I have got good stuff," Misuraca said. "Sometimes to be a good pitcher you have to back off a little bit. But those are the learning curves. You learn those things when you get a little bit older. I wish I would have figured that stuff out earlier in my career." Misuraca figured them out soon enough. It was the next July, while playing for the Brewers' AAA team in Tucson, that Misuraca got his call to the majors. He joined the Brewers on a road trip at Detroit's Tiger Stadium. "It was a feeling that you wish everybody could feel," Misuraca said of getting his call to the majors. "It's a feeling that will last with me forever. I can't ever replace it.